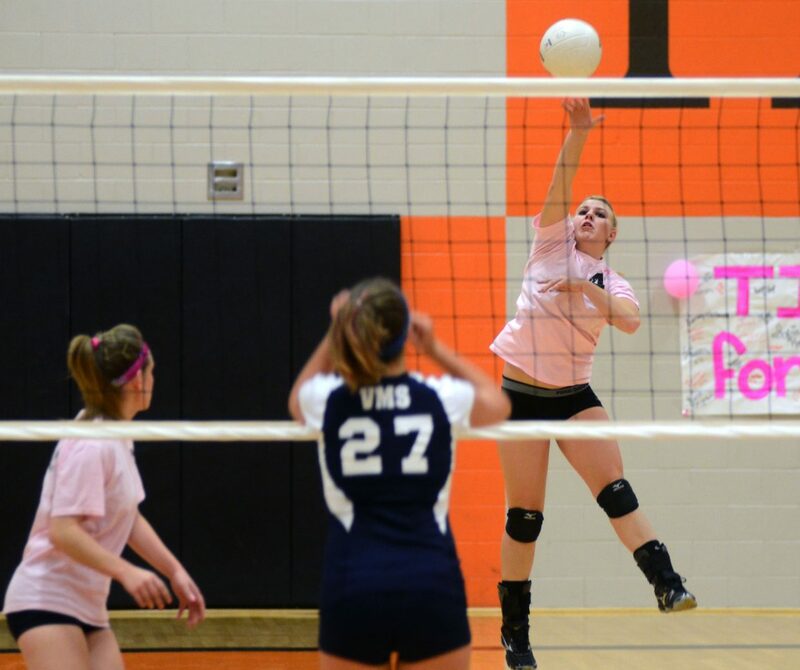 Hayden’s Jordan Temple hammers home a kill in October against Vail Mountain. Temple helped guide the Tigers volleyball team back on track this year, bouncing back from a 4-18 season her sophomore year to a 10-8 record this year. Jordan Temple has been one of the best, if not the best, players for Hayden on the volleyball court since she entered high school. That certainly didn’t change during her junior season, but she stood out as the Hayden High School female athlete of the year not just because of what she did on the volleyball court but also because she was willing to expand her horizons beyond her best sport. For Temple, of course, it started with volleyball this season. She’s seen both ends of the spectrum in her first two years on the team, playing for a winning squad her freshman season and a losing one — to the tune of a 4-18 record —as a sophomore. This season, she helped guide the program back into the black, with a 10-8 record. She certainly had plenty of help. Olivia Zehner, Becca Hoza and Belle Mazzola were key as the team’s seniors, and a new group of freshmen came up big on the court, as well. Temple enjoyed her best season statistically. She had the most kills of her career as a freshman, 126, but came within a whisker this year with 123, up from 119 as a sophomore. She averaged the most kills per set, 2.6, and was simply a better hitter. She also had the fewest errors she’s had in her career, 17 fewer than she had as a sophomore despite taking 25 more attempts, and she had best hitting percentage of her three seasons. This year, it wasn’t all about volleyball with Temple. She ran track, as well, and was one of the Tigers’ top athletes in the spring. She competed in the 100-meter dash and long jump and was best in the hurdles, where she ended the season less than a second away from a trip to the state track meet.